When am I ready for WCS Vocabulary classes? 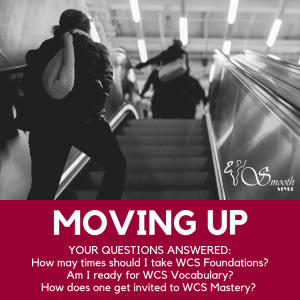 How may times should I take WCS Foundations (formerly Level 1)? What are the mysterious criteria to get into WCS Mastery (formerly “Level 10”) classes? We have answers, in our “Moving Up with Smoothstyle” information (PDF), here.